Hand stitched with plain white embossed cover. 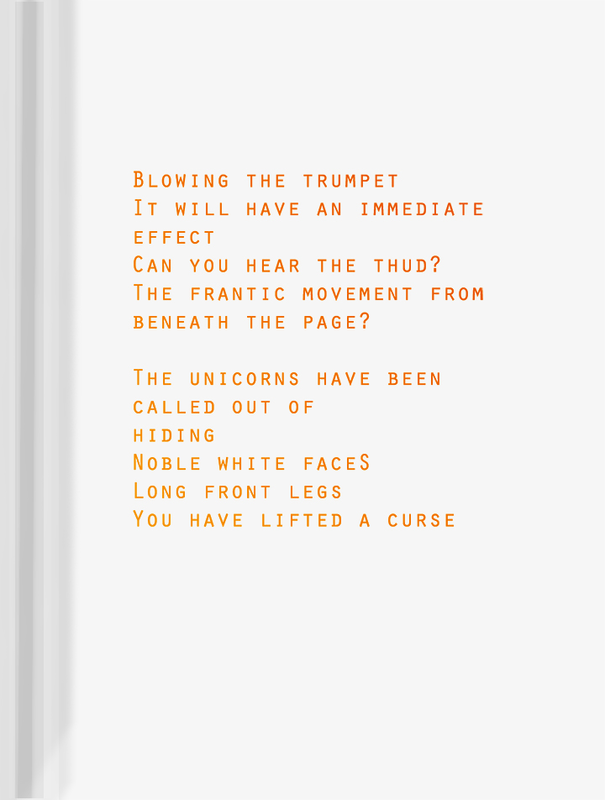 There is a poem at the beginning of the Book. 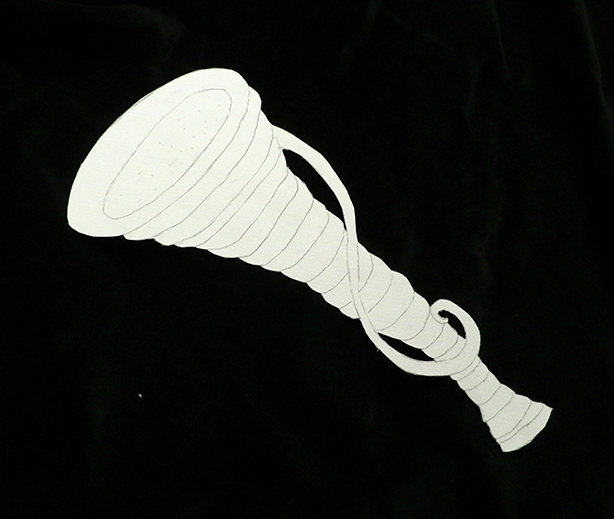 On further investigation of the book, a paper trumpet appears on one page. 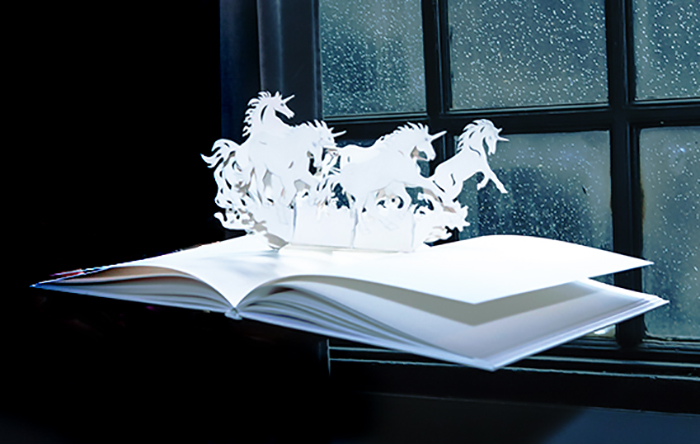 Upon reaching the centre of the book six pop-up unicorns spring up. Can you hear the thud? The frantic movement from beneath the pages? You have lifted the curse. Edition one of one, signed by the artist.